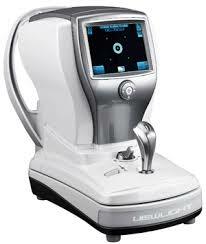 The OCULUS Keratograph 5M is a cutting-edge piece of technology known as a corneal topographer. With its built-in real keratometer and a color camera optimized for external imaging, the Keratograph 5M produces incredible images of the unique contours of your eye, that are both extremely informative to your doctor, and easy to explain to you, the patient. Unique features include examining the meibomian glands, non-invasive tear film break-up time and the tear meniscus height measurement and evaluating the lipid layer. 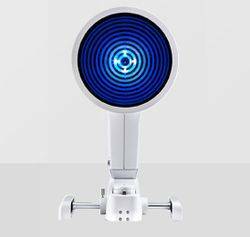 All of these features make the Keratograph 5M very useful in the detection and evaluation of dry eye sympyoms. Patients really like the live video image that it provides of the eye, and Dr. Cusic is one of the few practices in his community with this technology. We use cutting-edge Digital Retinal technology to assess your eyes. Many eye diseases, if detected at an early stage, can be treated successfully without total loss of vision. Your retinal Images will be stored electronically. This gives the eye doctor a permanent record of the condition and state of your retina. 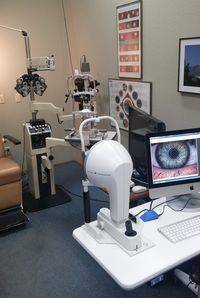 This is very important in assisting our optometrist in Kirkland, WA to detect and measure any changes to your retina each time you get your eyes examined, as many eye conditions, such as glaucoma, diabetic retinopathy and macular degeneration are diagnosed by detecting changes over time. Digital retinal imaging uses a high –resolution imaging system to take pictures of the inside of your eye. This helps Dr. Cusic asses the health of your retina and helps him to detect and manage such eye and health conditions as glaucoma, diabetes, macular degeneration, cancer, hypertension and retinal detachment. Finding retinal disorders as early as possible is critical to potentially preventing serious disease progression and even vision loss.